What, exactly, defines the Great Migration, as opposed to simply going out on safari and glimpsing giraffes, lions, elephants and more? 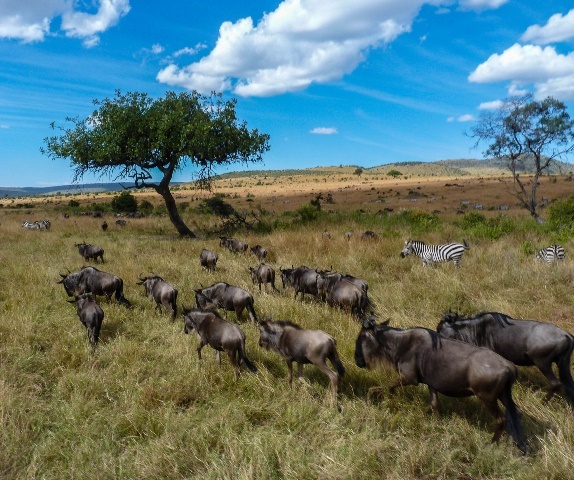 As we mentioned above, the Great Migration is defined as the yearly trek of close to one and a half million wildebeest and 300,00 zebra and gazelle, who gather their young and work their way from the Serengeti to the Maasai Mara, always moving in search of rain and fresh grass. Of course, predators have picked up on this behavior and are as much a part of the action as the migrating herbivores themselves. It is quite common to see active kills along the way from the many lions, leopards, hyenas and wild dogs that lie in wait (around 250,000 wildebeest die en route annually). When can I see the Great Migration? Scientifically and biologically speaking, the migration takes place all year, whether that means it’s calving season in February or the animals are on the move again, chasing the rains north. The prime viewing time for Grumeti River crossings in Tanzania is July; August for western Serengeti views and Mara River crossings; and September to November for seeing large herds and predators on the Mara plains. It’s more important than ever to work with a local guide who has kept careful track of the herds’ locations and has the knowledge and know-how to make quick changes to your route, if necessary. Don’t limit yourself to the river banks. Although the river crossings are exciting and dramatic – full of real-life risks as the herds ford the rivers and try to escape lurking crocodiles – the migration can be just as interesting away from Grumeti and the Mara rivers. Gazing out at a vast plain, where countless numbers of wildebeest, zebra, gazelle and more throng together, is a study in raw and beautiful animal nature. Remember, professional photographers and videographers camp out for weeks at the rivers, hoping to capture these crossings to share with the world, so it’s not guaranteed that every safari will be fortunate enough to catch one in action. Keep expectations in check, stay patient, and you may be pleasantly surprised. 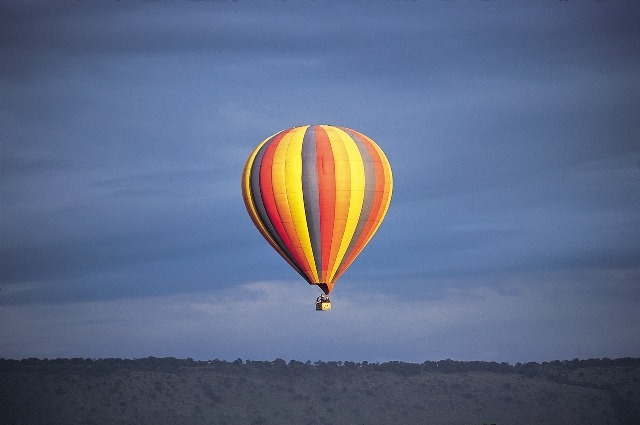 Try to combine both Tanzania and Kenya on a Great Migration journey. If one is making the trip all the way to East Africa, really, there is no better choice than to include both Tanzania and Kenya on the itinerary. 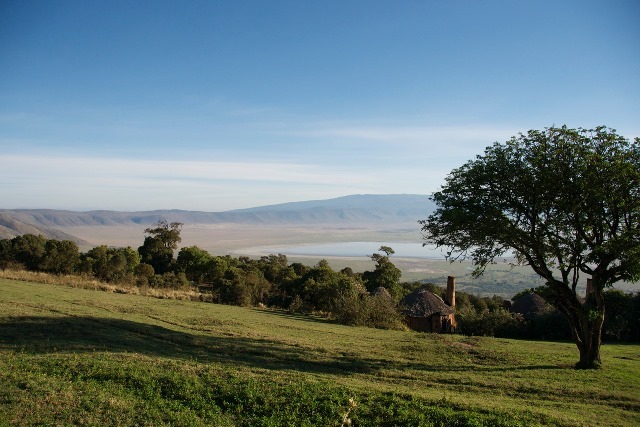 Tanzania holds a certain cache in that guests can view wildlife in the awe-inspiring Ngorongoro Crater with the adjoining endless Serengeti – and Kenya boasts a higher concentration of wildlife once the herds have entered the Mara and lives up to that quintessential safari experience most envision. However, we highly suggest, given adequate time and resources, that both regions are included, an easy feat if you’re working with a renowned DMC like Africa House Safaris that can craft a journey that takes into account your time constraint, group size, energy level, interests and more. They’ll act as a second set of eyes, as they keep in touch with their colleagues in the region and track the herds, and, once you’ve caught up with the animals, they’re are able to bring them into crystal-clear focus and educate you on the marvels of the wildlife. 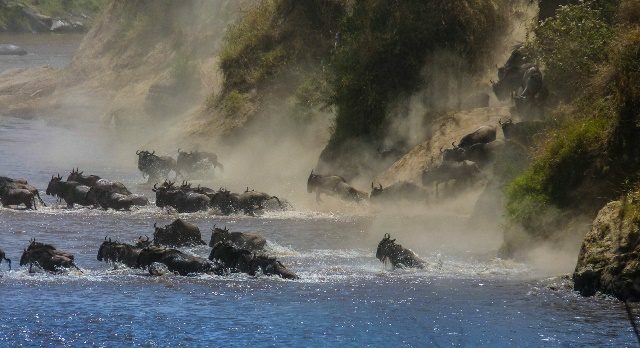 Just as you may not see a river crossing during your Great Migration safari, you may not see as many or just the type of wildlife you had hoped for. Keep an open mind and this natural phenomenon will be as life-changing as you dreamed – and perhaps more so. The unexpected should be celebrated here. It’s not always one massive herd that you will view, but also smaller herds broken up by many hundreds of miles. It’s the buzz in the air, the excitement, the sharing of one of the Seven Natural Wonders of the World – in whatever way it presents itself to you – that is the true reward. 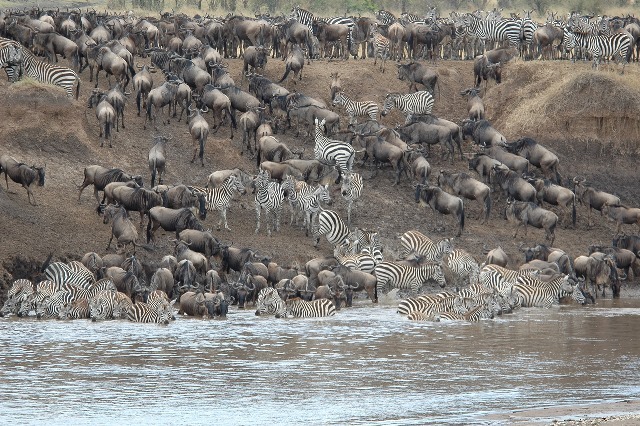 The Great Migration is worthy of the cliché – it is, indeed, the trip of a lifetime. Travel with experts you trust (we believe in Africa House Safaris), be patient and expect the unexpected. This is an opportunity to bear witness to a cycle that has been going on long before us and will long outlive us. Cherish the experience.